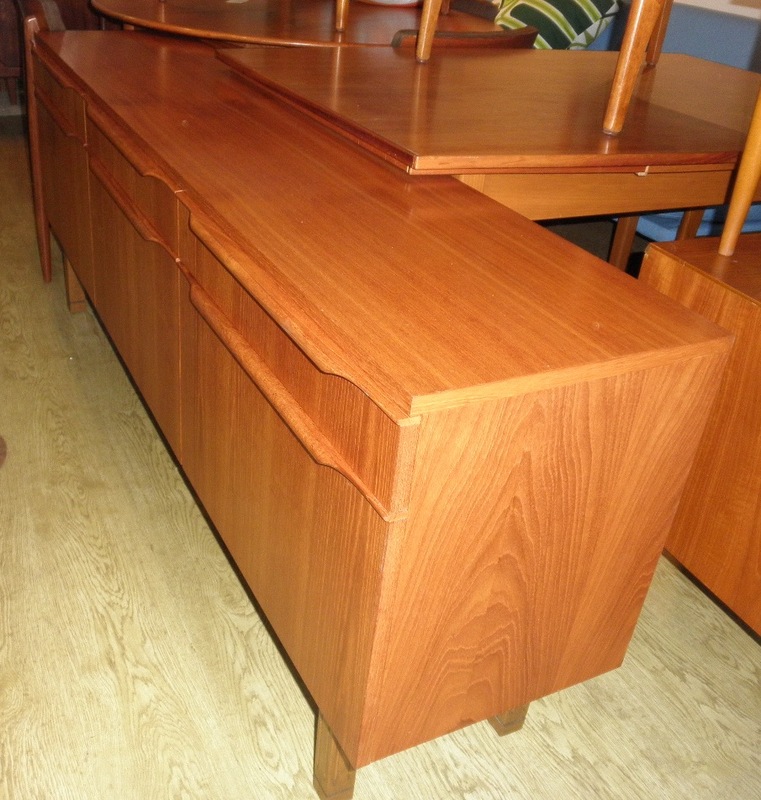 Nice wave handled unit with long and low profile. 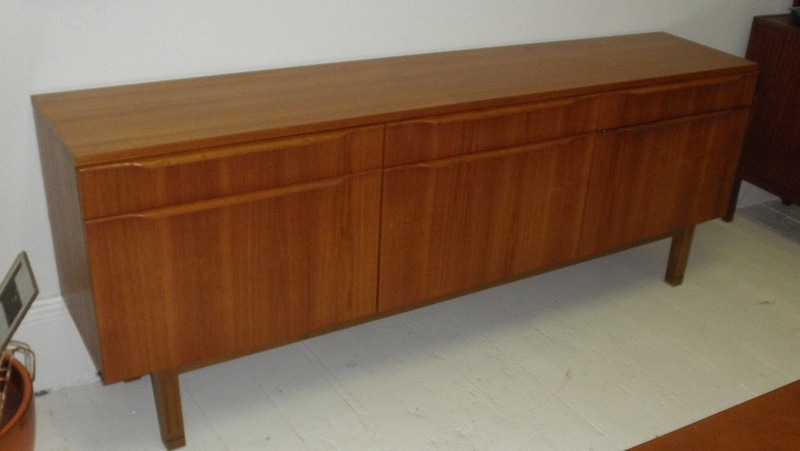 This sideboard has plenty of storage with three drawers to the top over three cupboards with shelves. 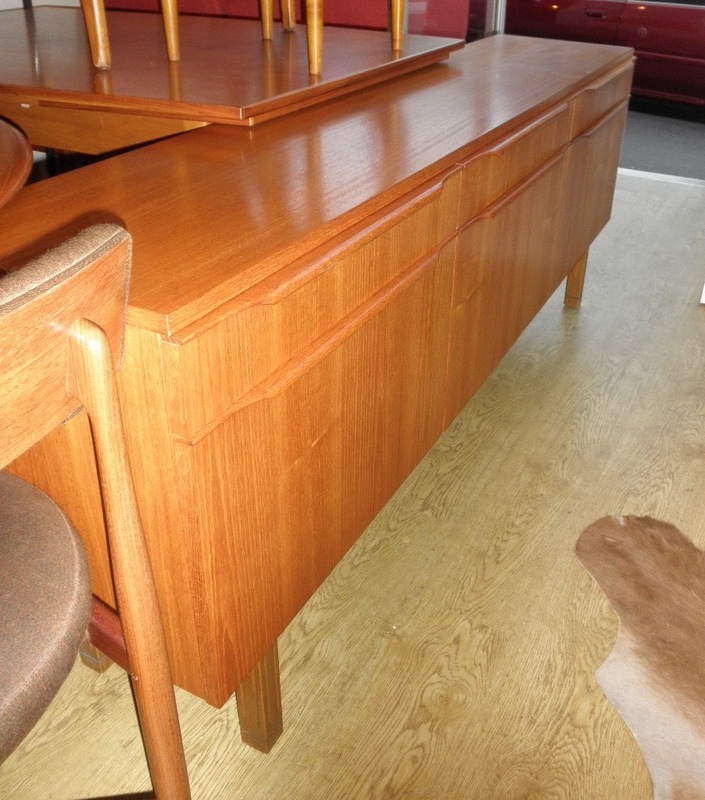 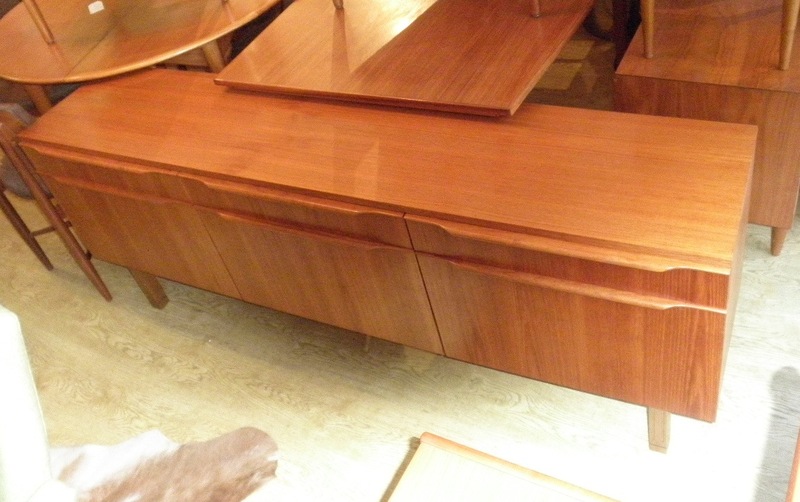 This sideboard would make a great TV stand as it’s not too deep and in fantastic condition.